Are you preparing to write the 2019/2020 May/June West African Senior School Certificate Examination (WASSCE) for school candidates? If yes, we are delighted to inform you that the timetable for the exam has been official released and we have published the 2019 WAEC timetable below for Nigerian candidates. However, the general subjects are applicable to The Gambia, Liberia, Ghana and Sierra-Leone candidates. 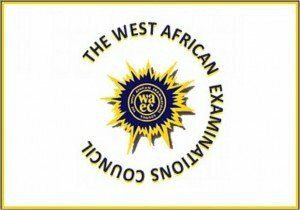 The West African Examinations Council (WAEC) 2019 timetable for the May/June examinations (for school candidates) is out. The WASSCE timetable is extremely important for candidates to become well-prepared in advance for the exams. According to the timetable, the West African Senior School Certificate Examination (WASSCE) for school candidates, 2019, will commence on 8th April, 2019 and will end on 31st May, 2019. We are delighted to furnish you with the WAEC 2019 Timetable that will assist you with your study for the 2019 WASSCE for school candidates that will commence on the 8th of April, 2019. Catering Craft Practice 2 (Essay)** – 9:30 a.m. – 10:20a.m. Catering Craft Practice 1 (Objective)** – 10:20 a.m. – 11:00 a.m.
Marketing 2 (Essay)** – 9:30 a.m. – 11:30 a.m.
Marketing 1 (Objective)** – 11:30 a.m. – 12:20 p.m.
Salesmanship 2 (Essay)** – 9:30 a.m. – 11:30 a.m.
Salesmanship 1 (Objective)** – 11:30 a.m. – 12:20 p.m.
Machine Woodworking 2 (Essay)** – 9:30 a.m. – 10:30 a.m.
Machine Woodworking 1 (Objective)** – 10:30 a.m. – 11:30 a.m.
Tourism 2 (Essay)** – 9:30 a.m. – 11:20 a.m.
Mining 2 (Essay)** – 9:30 a.m. – 11:35 a.m.
Mining 1 (Objective)** – 11:35 a.m. – 12:15 p.m. Bookkeeping 2 (Essay)** – 9:30 a.m. – 11:30 a.m. Bookkeeping 1 (Objective)** – 11:30 a.m. – 12:20 p.m.
Store Keeping 2 (Essay)** – 9:30 a.m. – 11:30 a.m.
Store Keeping 1 (Objective)** – 11:30 a.m. – 12:20 p.m.
Office Practice 2 (Essay)** – 2:00 p.m. – 4:10 p.m.
Office Practice 1 (Objective)** – 4:10 p.m. – 5:10 p.m. Catering Craft Practice 3 (Alternative to Practical Work)** – 9:30 a.m. – 10:10 a.m.
Insurance 2 (Essay)** – 9:30 a.m. – 11:30 a.m.
Insurance 1 (Objective)** – 11:30 a.m. – 12:20 p.m. Animal Husbandry (Alternative B) 2 (Essay)** – 9:30 a.m. – 11:30 a.m. Animal Husbandry (Alternative B) 1 (Objective)** – 11:30 a.m. – 12:10 p.m.
Store Management 2 (Essay)** – 9:30 a.m. – 11:30 a.m.
Store Management 1 (Objective)** – 11:30 a.m. – 12:30 p.m.
Tuesday, 16th April, 2019 to Friday, 10th May, 2019 [Date and time for each paper will be arranged by the Council]. Building Construction 2 (Essay) – 3:00 p.m. – 4:00 p.m.
Building Construction 1 (Objective) – 4:00 p.m. – 4:45 p.m. Clerical Office Duties 2 (Essay) – 09:30 a.m. – 11:40 a.m. Fisheries (Alternative B) 2 (Essay)** – 2:00 p.m. – 4:00 p.m. Fisheries (Alternative B) 1 (Objective)** – 4:00 p.m. – 4:40 p.m.
Data Processing 2 (Essay)** – 9:30 a.m. – 11:30 a.m.
Home Management 2 (Essay) – 9:30 a.m. – 10:30 a.m.
Home Management 1 (Objective) – 10:30 p.m. – 11:30 a.m.
Geography 3(Practical and Physical Geography) – 2:00 p.m. – 3:50 p.m.
Metalwork 2 (Essay) – 09:30 a.m. – 11:00 a.m.
Electronics 2 (Essay) – 2:00 p.m. – 3:00 p.m.
Electronics 1 (Objective) – 3:00 p.m. – 4:00 p.m. Biology 2 (Essay) – 9:30 a.m. – 11:10 p.m. Biology 1 (Objective) – 11:10 a.m. – 12:00 p.m.
Hausa 2 (Essay)** – 9:30 a.m. – 11:30 a.m.
Hausa 1 (Objective)** – 11:30 a.m. – 12:30 p.m.
Igbo 2 (Essay)** – 9:30 a.m. – 11:30 a.m.
Igbo 1 (Objective)** – 11:30 a.m. – 12:30 p.m.
Yoruba 2 (Essay)** – 9:30 a.m. – 11:30 a.m.
Yoruba 1 (Objective)** – 11:30 a.m. – 12:30 p.m.
Computer Studies 2 (Essay)** – 3:00 p.m. – 4:00 p.m.
Computer Studies 1 (Objective)** – 4:00 p.m. – 5:00 p.m.
Woodwork 2 (Essay and Design) – 2:00 p.m. – 4:20 p.m.
Woodwork 1 (Objective) – 4:20 p.m. – 5:00 p.m.
History 2 (Essay) – 2:00p.m. – 4:00 p.m.
History 1 (Objective) – 4:00 p.m. – 5:00 p.m.
Literature-In-English 2 (Prose) – 9:30 a.m. – 10:45 a.m.
Auto Mechanics 2 (Essay) – 2:30 p.m. – 4:00 p.m.
Auto Mechanics 1 (Objective) – 4:00 p.m. – 5:00 p.m.
Further Mathematics/Mathematics (Elective) 1 (Objective) 1hr 30mins 3:30p.m – 5:00 p.m.
Physics 2 (Essay) – 09:30 a.m. – 11.00 a.m.
Physics 1 (Objective) – 11:00 a.m. – 12:15 p.m. Visual Art 2 (Essay) – 2:00 p.m. – 4:00 p.m. Visual Art 1 (Objective) – 4:00 p.m. – 4:50 p.m.
English Language 2 (Essay) – 09:30 a.m. – 11:30 a.m.
English Language 1 (Objective) – 11:30 a.m. – 12:30 p.m.
English Language 3 (Oral)**/*** – 3:00 p.m. – 3:45 p.m.
Geography 2 (Essay) – 09:30a.m. – 11:30 a.m.
Geography 1 (Objective) – 11:30a.m. – 12:30 p.m.
Foods and Nutrition 2 (Essay) – 9:30a.m. – 10:45 a.m.
Foods and Nutrition 1 (Objective) – 10:45 a.m. – 11:45 a.m.
Financial Accounting 1 (Objective) – 12:00 noon – 1:00 p.m.
Health Science 2 (Essay) – 2:00p.m. – 3:30 p.m.
Health Science 1 (Objective) – 3:30p.m. – 4:30 p.m.
Health Education 2 (Essay) – 2:00p.m. – 3:30 p.m.
Health Education 1 (Objective) – 3:30p.m. – 4:30 p.m.
Commerce 1 (Objective) – 4:00 p.m – 4:50 p.m.
Literature-In-English 3 (Drama & Poetry) – 2:00p.m. – 4:30 p.m. Mathematics 1 (Objective) – 3:00 p.m – 4.30 p.m.
Economics 1 (Objective) – 11:30am – 12:30 p.m. Applied Electricity 2 (Essay) – 3:00 p.m. – 4:00 p.m. Applied Electricity 1 (Objective) – 4:00 p.m. – 5:00 p.m. Basic Electricity 2 (Essay)** – 3:00 p.m. – 4:00 p.m. Basic Electricity 1 (Objective)** – 4:00 p.m. – 5:00 p.m.
Christian Religious Studies 1 (Objective) – 11:30 a.m – 12:30 p.m.
Islamic Studies 1 (Objective) – 11:30 p.m – 12:20 p.m.
Chemistry 2 (Essay) – 2:00 p.m. – 4:00 p.m.
Chemistry 1 (Objective) – 4:00 p.m. – 5:00 p.m.
Government 1 (Objective) – 11:30 a.m – 12:30 p.m. Visual Art 3A (Drawing) – 2:00 p.m. – 5:00 p.m.
Civic Education 2 (Essay)** – 9:30 a.m. – 11:30 a.m.
Civic Education 1 (Objective)** – 11:30 a.m. – 12:30 p.m.
Business Management 2 (Essay) – 09:30 a.m. – 11:30 a.m.
Business Management 1 (Objective) – 11:30 a.m. – 12:30 p.m. Agricultural Science 2 (Essay) – 2:00 p.m. – 4:10 p.m. Agricultural Science 1 (Objective) – 4:10 p.m. – 5:00 p.m.
Building Construction 3 (Building Drawing and Essay) – 3:00 p.m. – 5:30 p.m.
Technical Drawing 3 (Sketches, Building and Mechanical Drawing) – 9:30 a.m. – 12:15 p.m.
Technical Drawing 2 (Essay)** – 2:00p.m. – 3:45p.m. Technical Drawing 1 (Objective)** – 3:45 p.m. – 4:45 p.m. Visual Art 3B (Creative Design) – 09:30 a.m. – 12:30 a.m.
Arabic 1 (Objective) – 4:00 p.m. – 4:50 p.m.
Principles of Cost Accounting 2 (Essay) – 2:00 p.m. – 4:00 p.m.
Principles of Cost Accounting 1 (Objective) – 4:30 p.m. – 5:00 p.m.
French 2 (Essay) – 09:30 a.m. – 10:45 a.m.
French 1 (Objective) – 10:45 a.m. – 11:45 a.m. Clothing and Textiles 2 (Essay) – 3:00 p.m. – 4:30 p.m. Clothing and Textiles 1 (Objective) – 4:30 p.m. – 5:30 p.m. Difference in Time on Question Paper and Timetable: Where the duration indicated on the question paper differs from that on the timetable, the one on the question paper should be followed. General Knowledge-In-Art Paper 3 : The question paper for General Knowledge-In-Art 3will be given to candidates two weeks before the paper is due to be taken. Project Work Papers: The question papers for project work for Basketry, Graphic Design, Leatherwork, Ceramics, Sculpture, Picture Making, Textiles, Jewellery, Painting& Decorating, Dyeing & Bleaching and Leather Goods Manufacturing& Repair will be forwarded to candidates two weeks in advance of the examination. The exact date for the delivery of question papers to candidates will be communicated to them through their schools. Extra Time for Blind and Deaf Candidates: Blind and deaf candidates should be allowed one and half times the time allotted to other candidates.